Leaving the comfort of Marivoll behind we left the coast road and cut inland, to visit a few out of the way places listed in our new favourite book – “Wild Guide Scandinavia – swim, camp, canoe and explore Europe’s greatest wilderness”. After driving along winding roads and through grand mountains, we arrived first at Digelva Waterfall, where we parked in a small, gravel lay-by adjacent to a pristine, still lake. The lake feeding the waterfall was the more interesting part and we considered a dip, but never succumbed on this occasion. 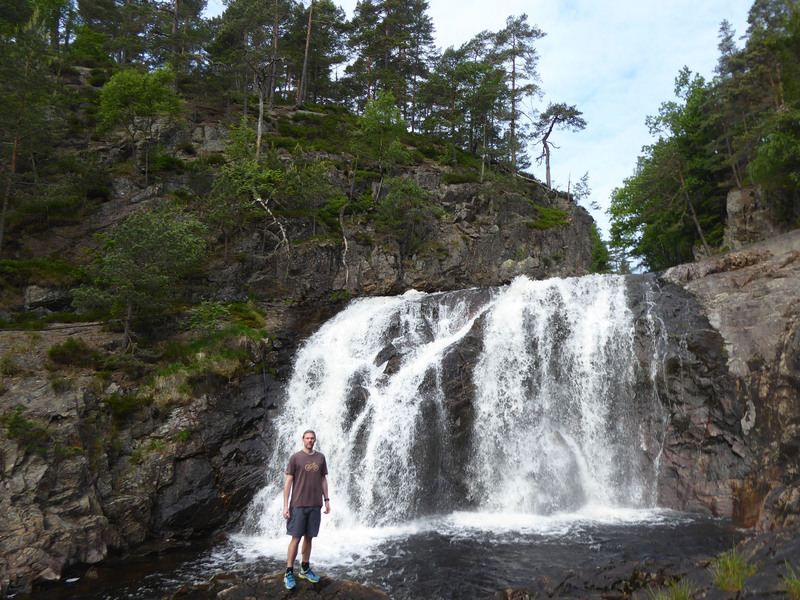 The waterfall was pleasant enough to see but there would be much grander examples in days to come, so after a brief walk we moved on. 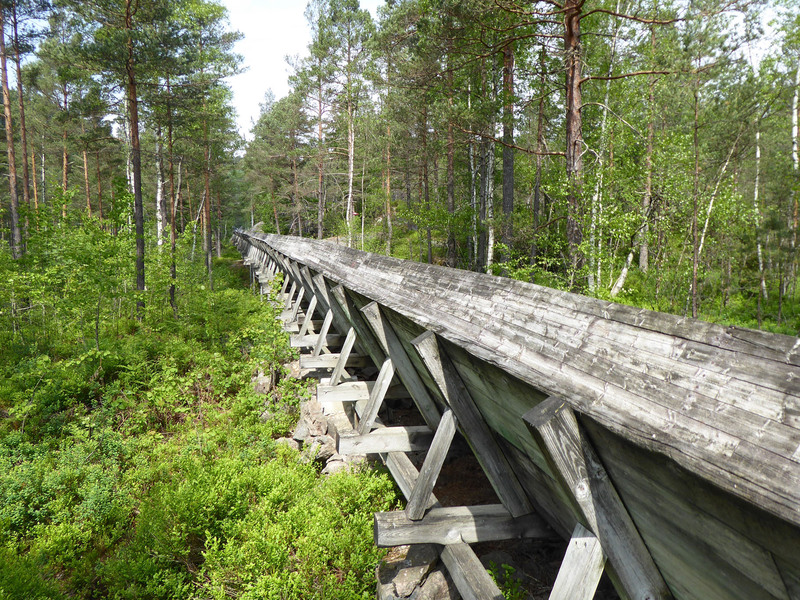 We drove on to our second designated stop at Vennesla, to undertake a quirky walk along an unused timber log flume. This now dry canal was used to transport cut timber from higher upstream, allowing logs to bypass a long area of rapids on the foaming Otra river below. There was no parking nearby, but we located a suitable gravel pull-off a few hundred metres along the road from where we could start our walk. 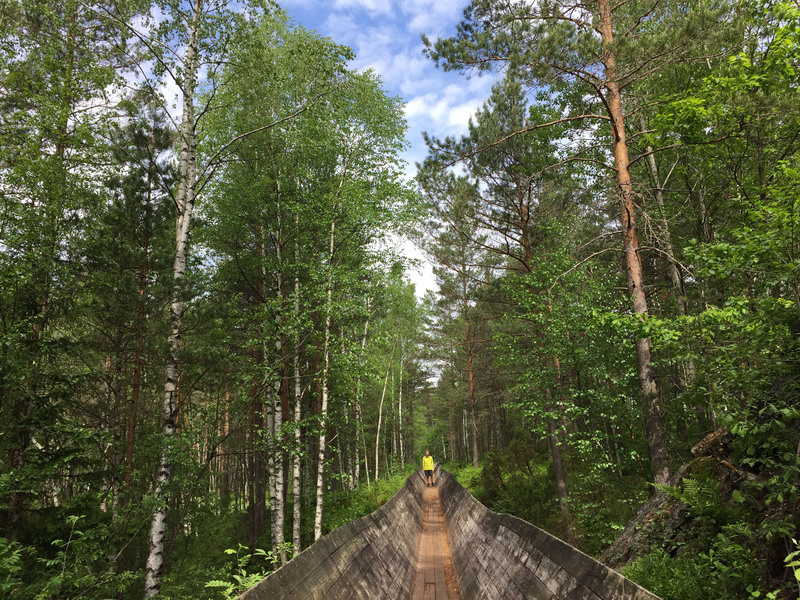 The flat-bottomed V-shaped flume was not quite wide enough for two to walk alongside, but the sides were high enough to feel nicely enclosed and relatively safe. There was a lot of groaning from the wood as we walked, and a few missing or rotted boards left sizable holes to see through to the raging river below. Not too difficult in terms of navigation though, so we scooted along easily and quickly, enjoying the views. 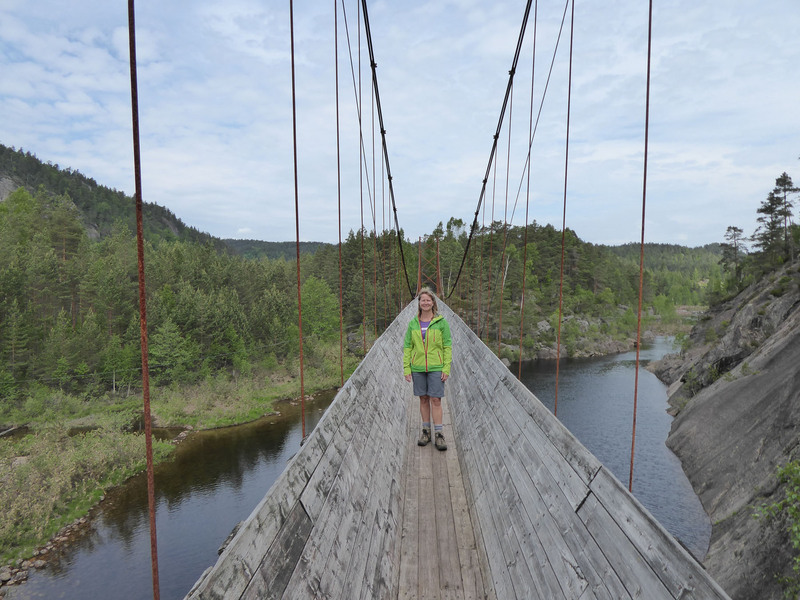 The route passed over two tall, thin steel suspension bridges, where the creaking timber boards experienced even more vertical movement, combined with a little sideways sway. The extent of the infrastructure to allow logs to safely pass the rapids was impressive, and the views around and through the trees was quite beautiful. 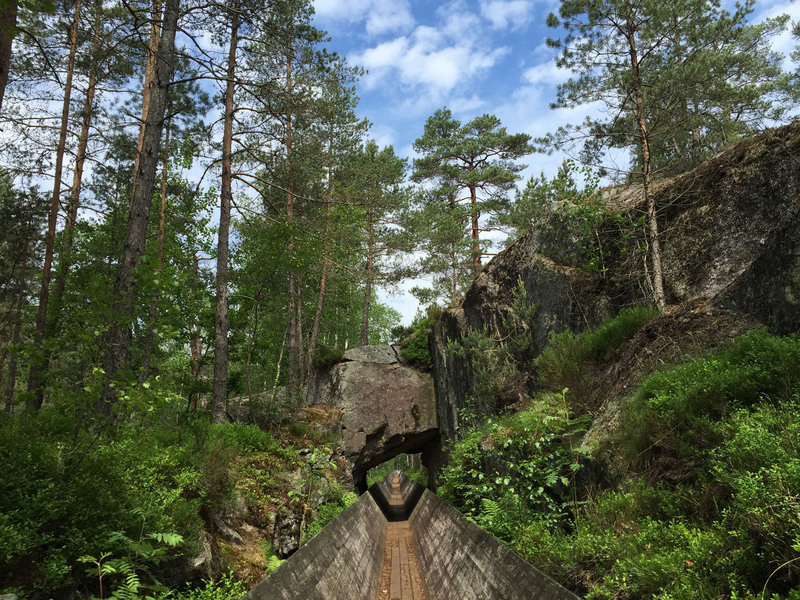 There were a few places where the sides had been cut back and steps added, to allow other forest paths to join the flume, or users to escape and visit nearby viewpoints and picnic tables. The end of the route promised a low, damp and creepy tunnel, but on our visit this was boarded off and signed that entry was forbidden, so it became our turning back point. 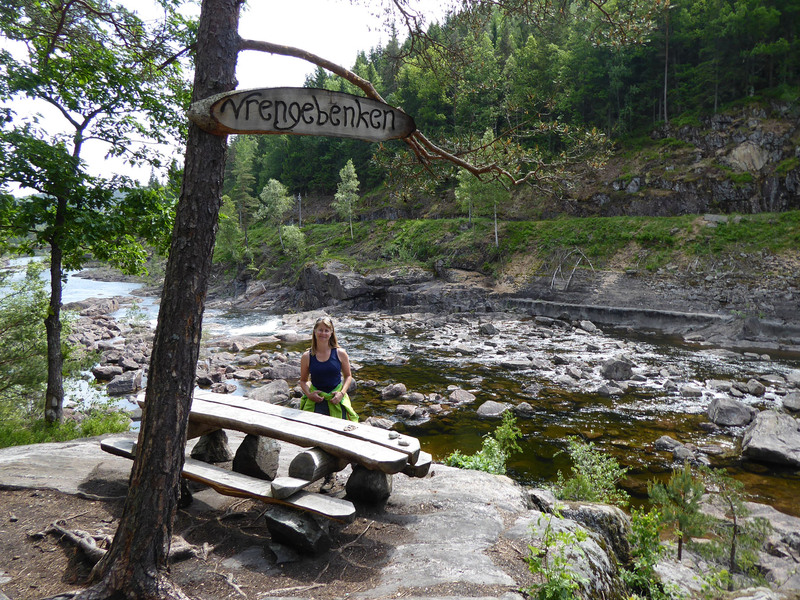 We walked an out and back route of just over 6km, a really enjoyable and different hike along a river bank. We drove on to a small, quiet lay-by at the village of Snig, where there was room for six carefully parked vans (or three French vans) but luckily we arrived first. It was quite a popular spot, and there was a constant stream of vans arriving in search of a park right up until 10pm, then leaving disappointed. Between weather breaks and bouts of laziness we had a few short beach front walks and played in the picnic area kid’s park, before having an early night. Next morning we woke early and after a quick breakfast drove down the coast to Lidneses Fyr, arriving there before 8 am; sometimes we even surprise ourselves. 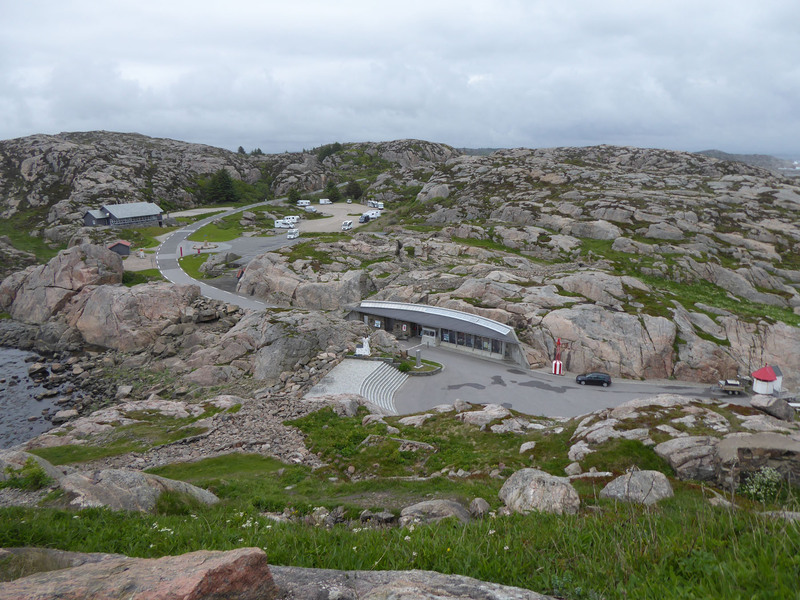 We happily discovered that outside of official opening hours (10am – 5pm) all access to the surrounding site is free, so we clambered around the most southerly rocks with abandon. We had views over the paid aire in Lidneses Fyr, where we imagined many of those who didn’t find a place at Snig ended up staying. 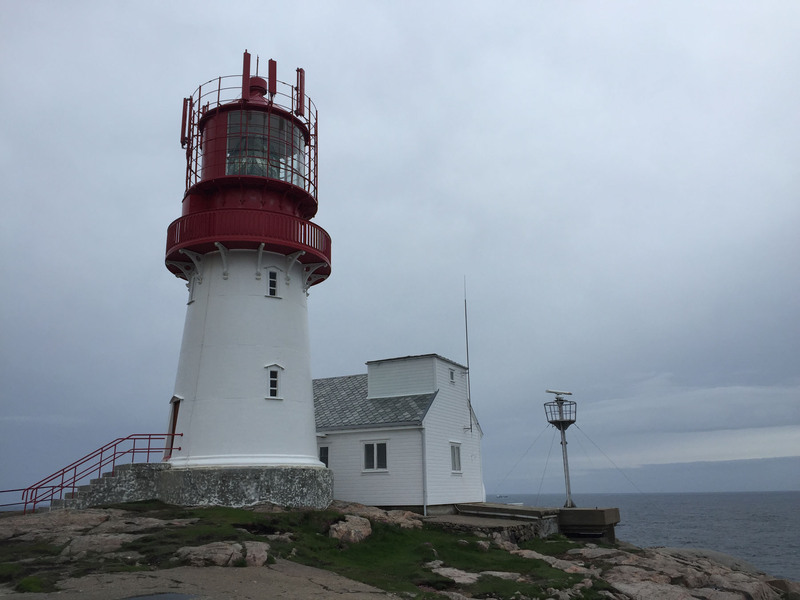 We were the only people up and active at this early hour as we wandered around the lighthouse, over the rocks and through tunnels, briefly becoming the most southerly people in all of Norway. 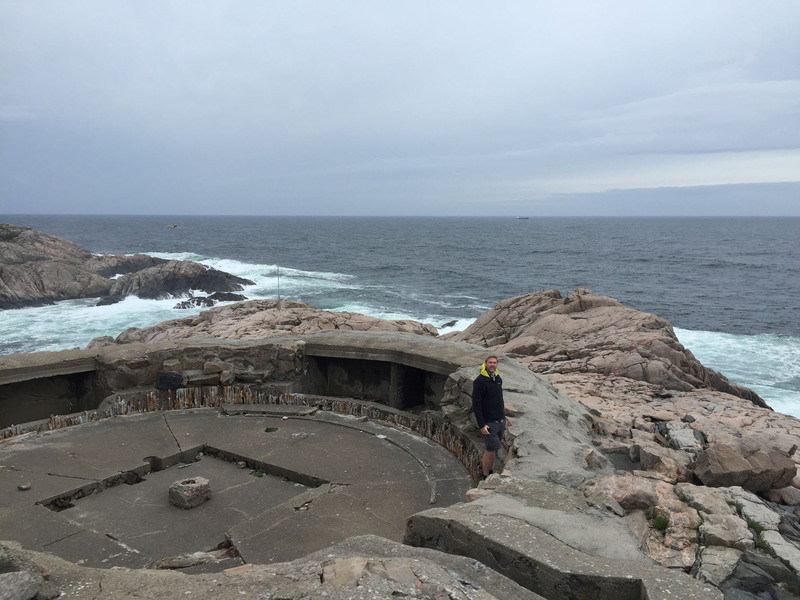 We learned a little about life in this region from the well-written information boards scattered around the rocks. We read of the local kids, when the weather was particularly stormy, having to be roped up to make their journey to school. 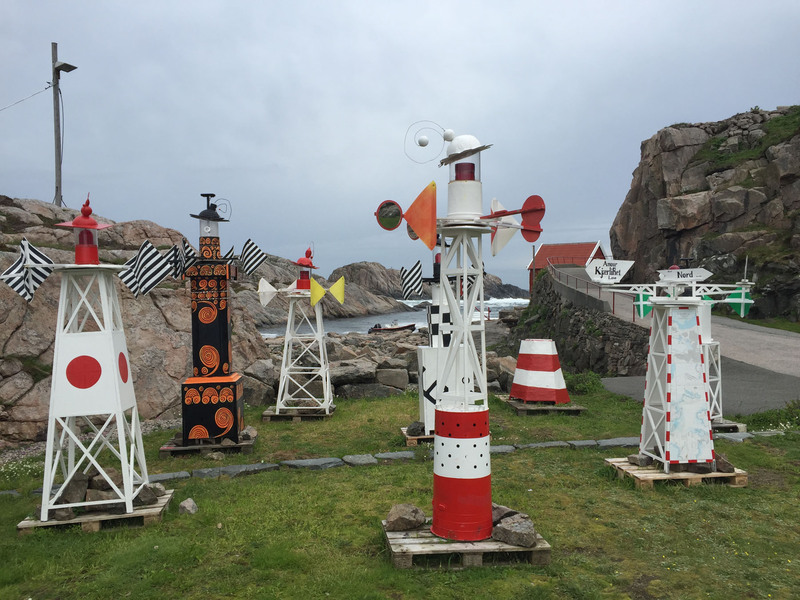 There was a large collection of colourful, quirky anemometers, like there had been a school competition to design them. 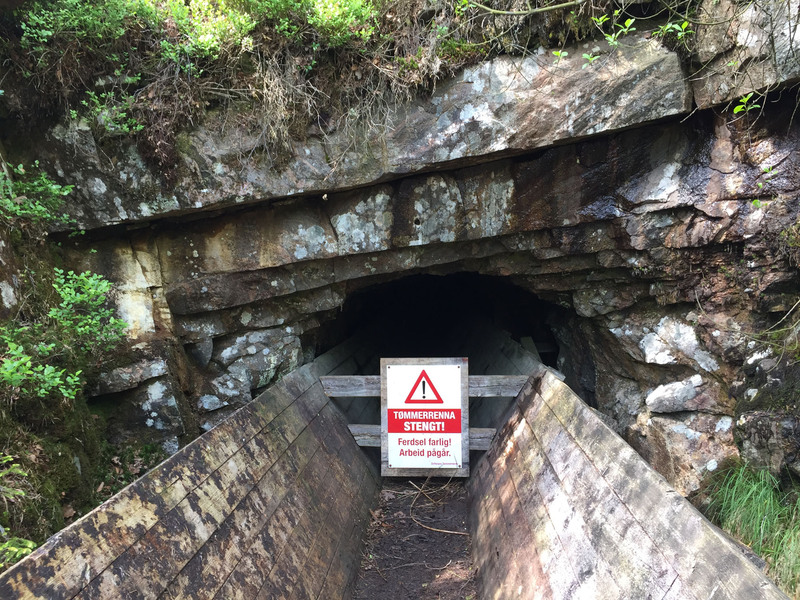 We followed the stone tunnels that providing refuge from the weather for the workers needing to visit other parts of the working site. 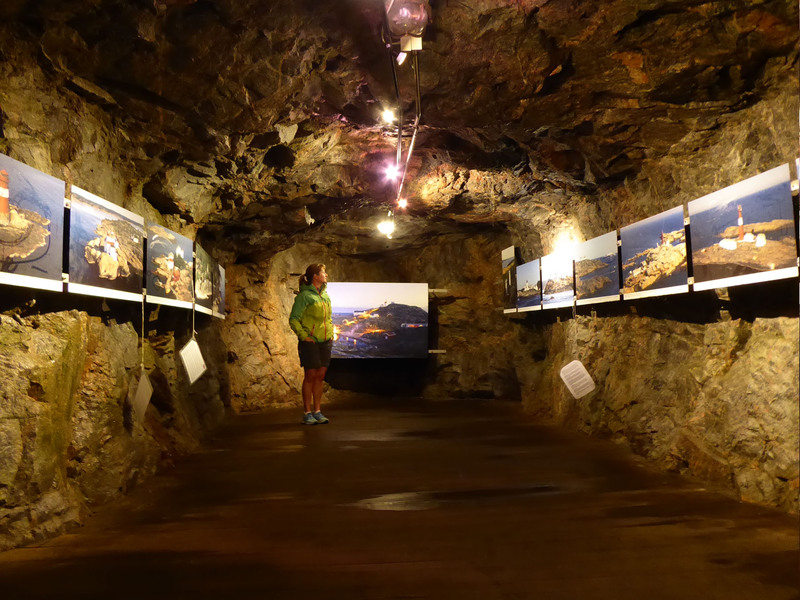 One built cave housed a stunning photographic presentation of the history of the lighthouse and of similar lighthouses all across Norway. 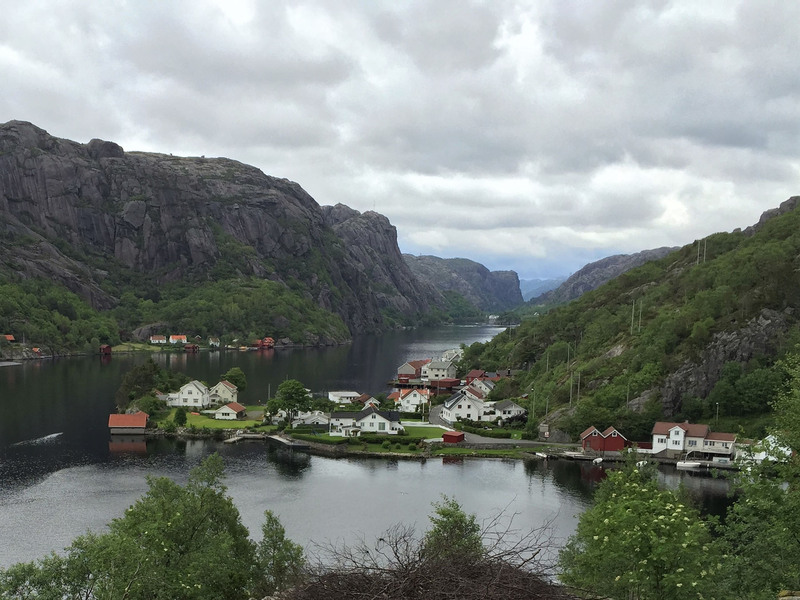 We drove on, up and over some narrow hairpins and down deep valleys with each turn bringing a new but spectacular view over a fjord or lake. 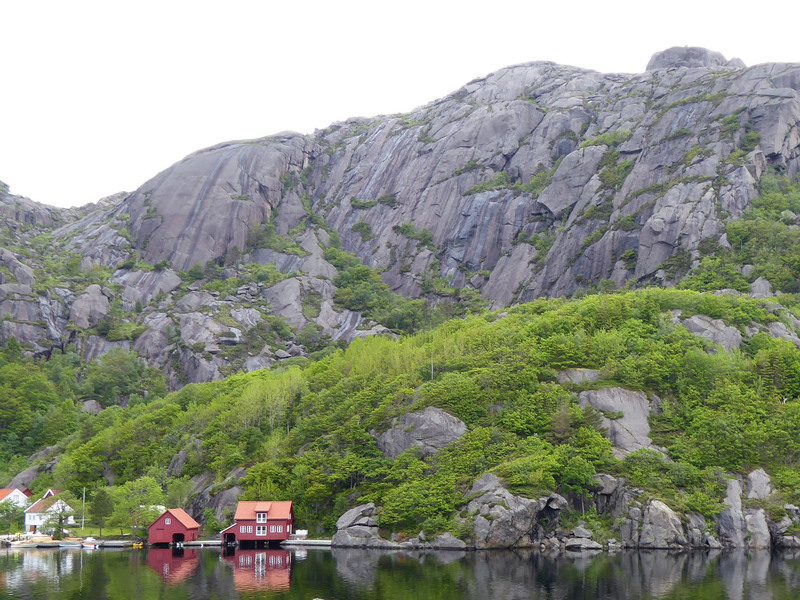 Although we had not yet reached the big mountains, the scale of the scenery was such a contrast to our previous month in flat Denmark, and we were simply mesmerised. Lake, sea, mountain, sky; all combined effortlessly to build vista after vista of extreme grandeur. Norway was showing off for us, and we loved it. Over many miles the scenery slowly but quite dramatically evolved, with the change not in the scale but in appearance. We passed into a large area that formed part of a Magma Geopark, a national park area. Gone were the tree-covered hillsides and high grassy banks. Now hulking, curvaceous granite outcrops surrounded us, mostly bare of greenery, cracked and deep-lined like an old man’s weathered face. Small, black lakes rested between each progressive rock formation, reflecting the hard stone and occasional building like a mirror, doubling the visual effect. We followed a very narrow offshoot road down to the coast. Our recent visit to the Isle of Mull was proving fine preparation for the roads we were now travelling – mostly winding single track with narrow passing places, slow going and requiring focused concentration. We found a large and empty car-park, in the village of Roligheten, and walked to the end of the road, only a few hundred metres further. At points we could, when holding hands, both stretch out and simultaneously touch the rock face or house on each side of the road, such was the narrowness of the tiny road to the harbour. 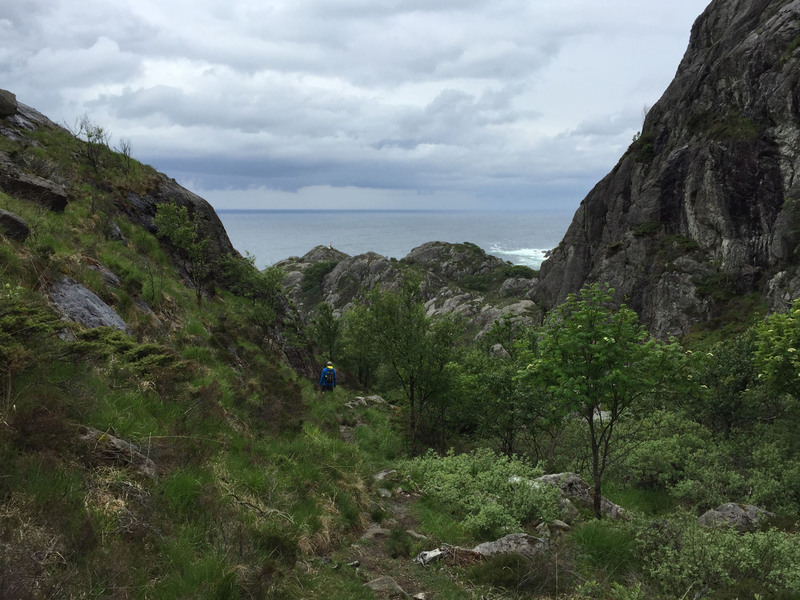 When the road ended we hiked across a steep muddy hillside, named Brufjell, through some lovely light forest with well-marked trails, to reach our target – Sandvika beach. This small inlet was a white pebble oasis, with a narrow sea opening flanked with high, granite cliffs. It looked incredibly inviting for swimming in photos we’d seen, but when we arrived the sea was raging and foaming, fighting violently with the cliffs and beach. We considered swimming, or at least a quick dip, but it was just too wild to be safe. The breaking waves clawed at the white pebbles, dragging them down and under with each surging line. It proved difficult to simply stand upright at the water’s edge, as the pebbles rolled out underfoot with the incessant pull underneath. 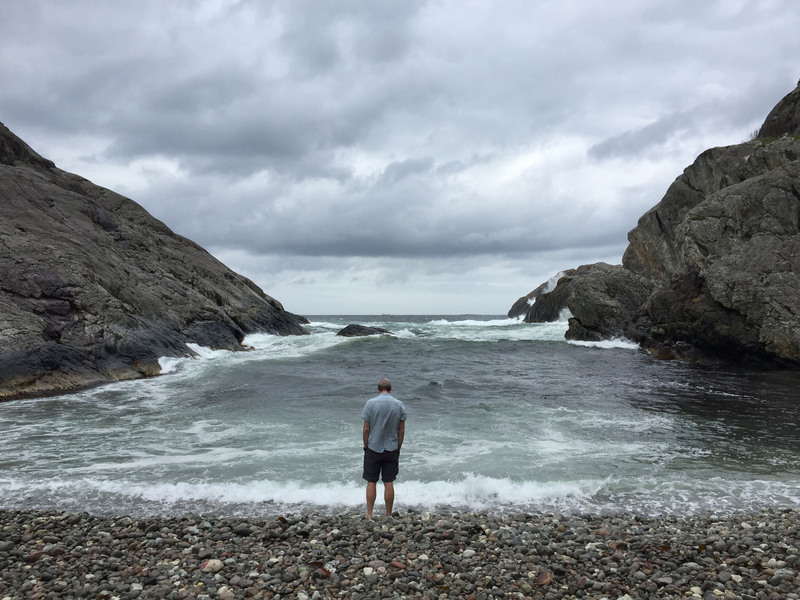 Instead, we sat a while and watched the savage sea beat-up the shore, mesmerised by the simple, constant movement and the display of raw energy. 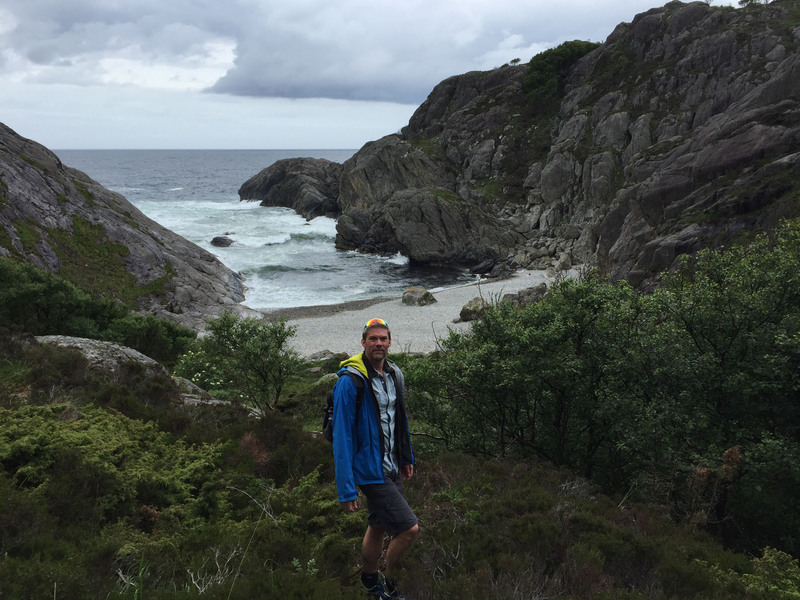 This entry was posted in 2017 Scandinavia Tour, Hiking, In Norway, Norway, Our Travel Journal on Jun 15, 2017 by Aaron Hill. Hi Aaron… well this is a bit weird. 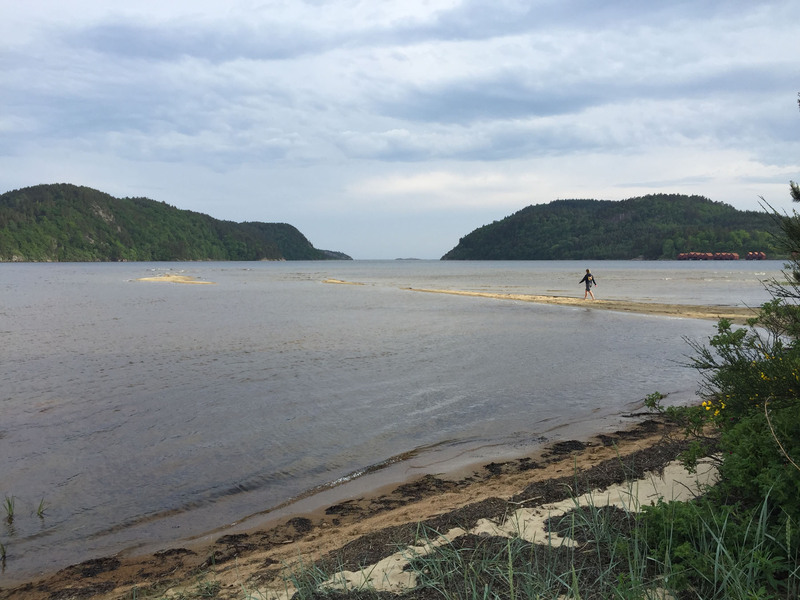 When you Google a remote beach you want to get to on your Norway trip in August, the last thing you expect to come up is the blog of your mad ex-HR Business Partner at Getronics who left to travel the world !!! Say hi to Nicky, looks like you’re both having an amazing time. 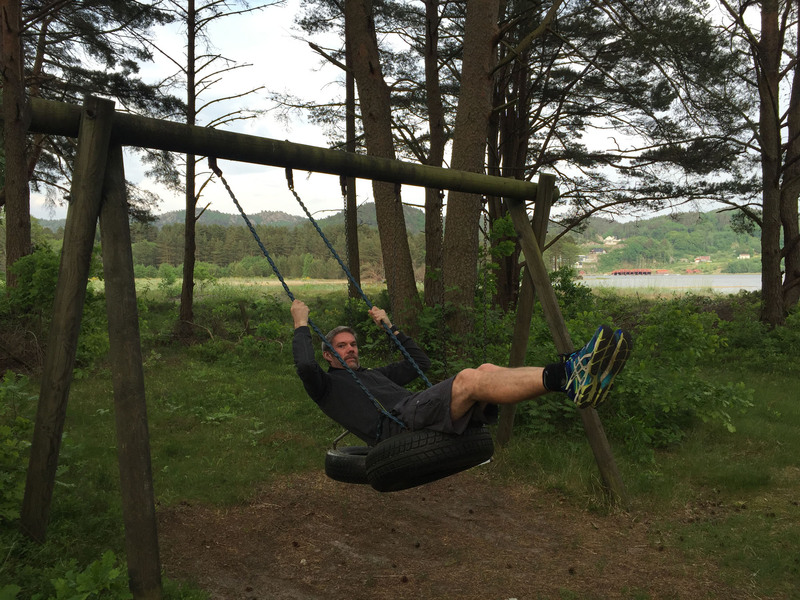 I’ll be reading about your Norway trip, hope you don’t mind if I throw you some questions. 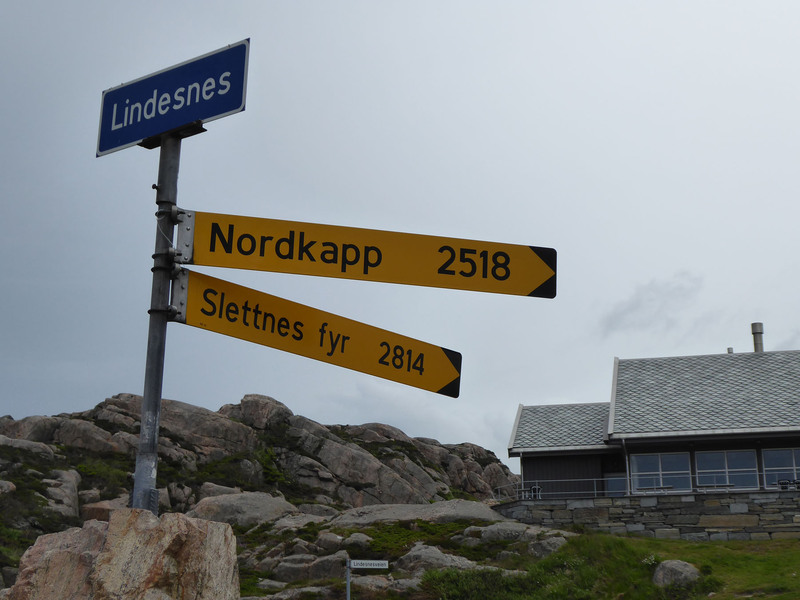 We’re going over in August, found a van on AirBnB not far from Preikstolen, doing a loop up North to Voss for some rafting, across to Lillehammer then down south get back to Stavanger.